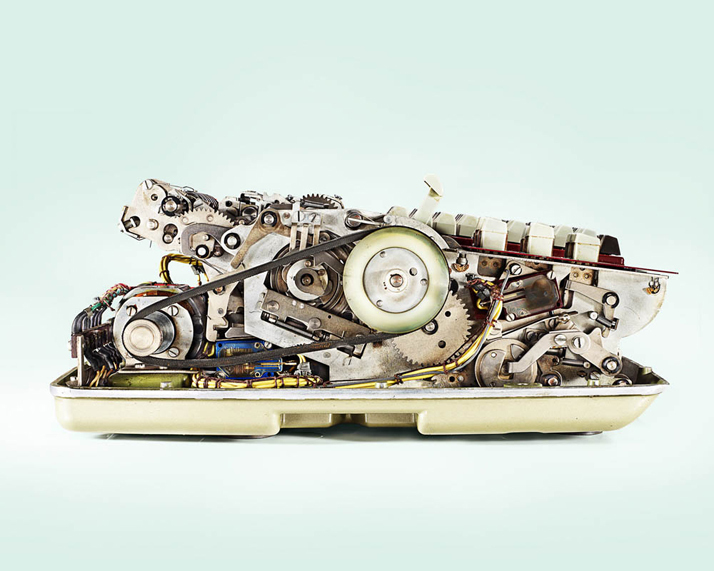 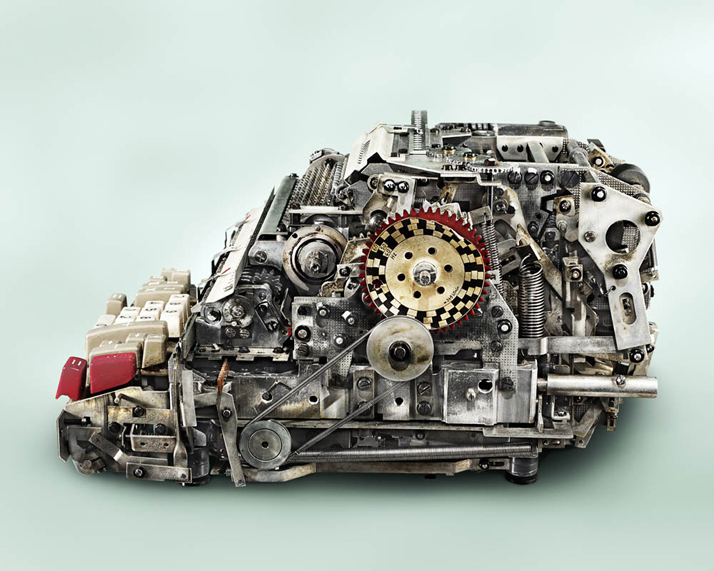 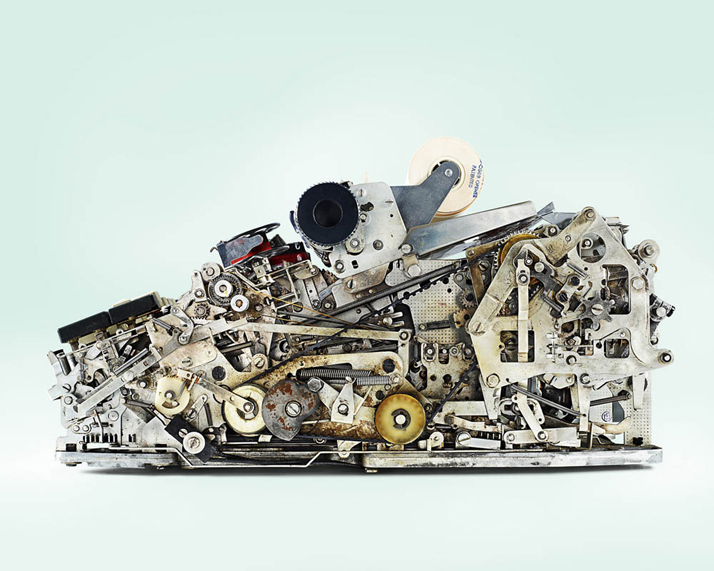 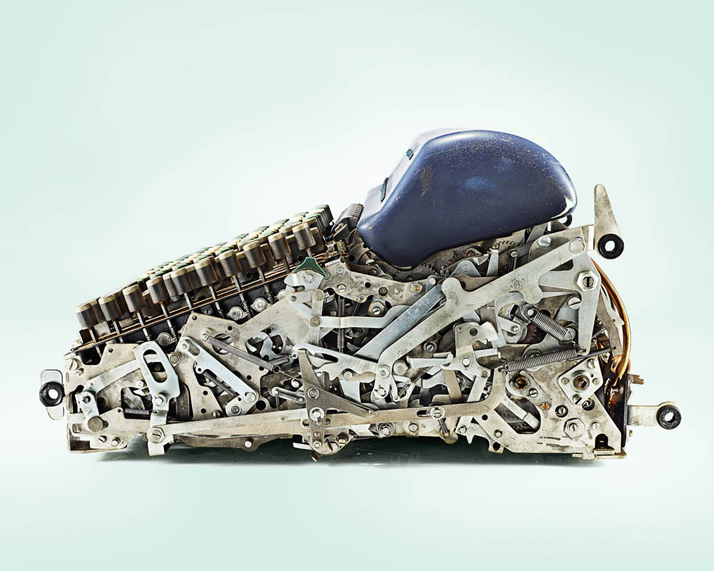 In his series Low Tech, photographer Kevin Twomey gives us a glimpse of the convoluted inner workings of decades-old calculators. 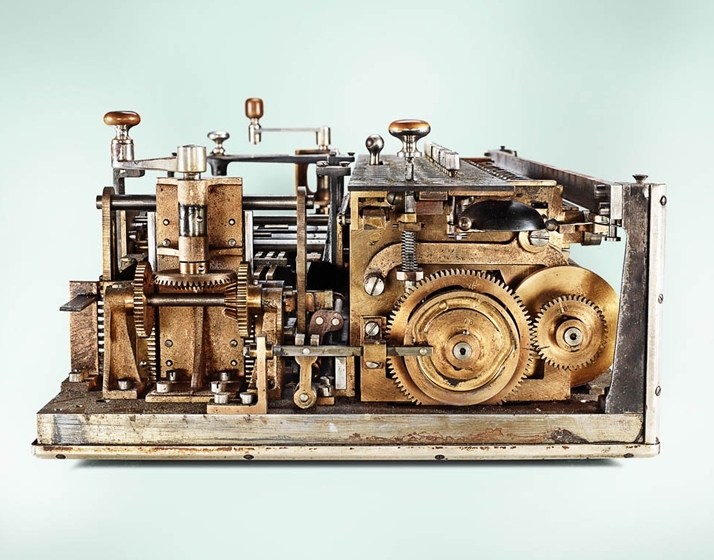 The San Francisco-based Twomey brings the countless levers, springs, and motors of these machines to life by employing theatrical lighting techniques. 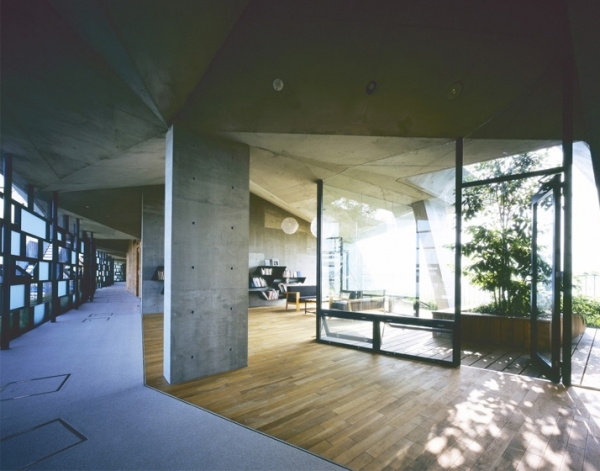 In addition to this keen application of lighting effects, each image is composed of multiple shots at different distances that are then layered using a digital tool called Helicon Focus. 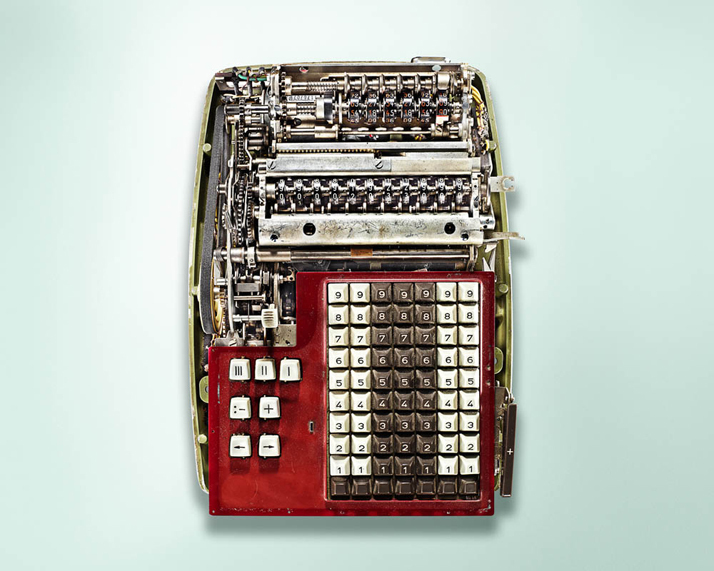 Twomey first took on the project at the behest of collector Mark Glusker, who owns the pictured calculators. 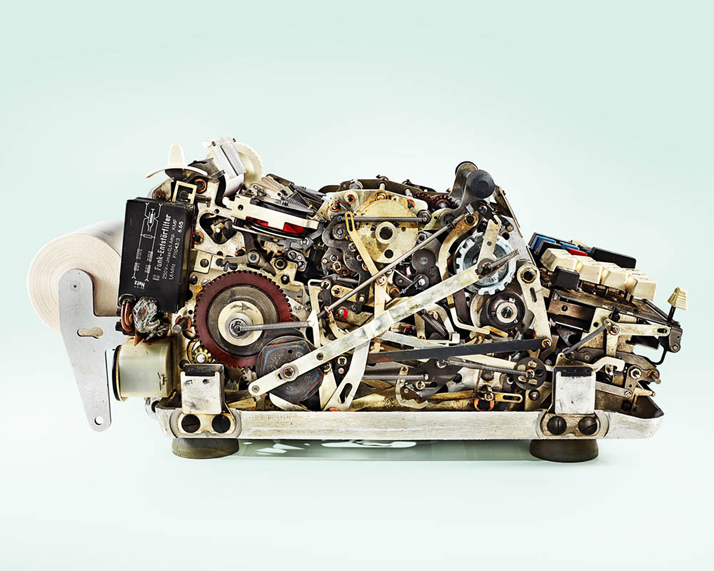 Over the course of this project spanning several years, Twomey's series of photos has accumulated dozens of pieces. 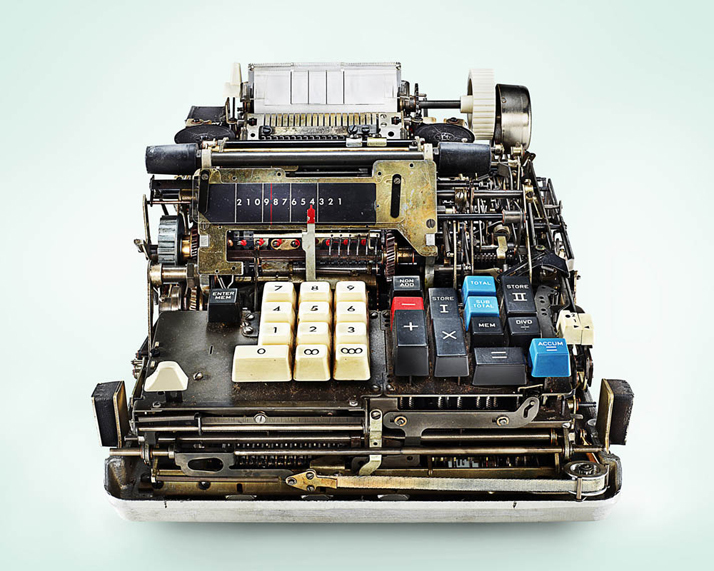 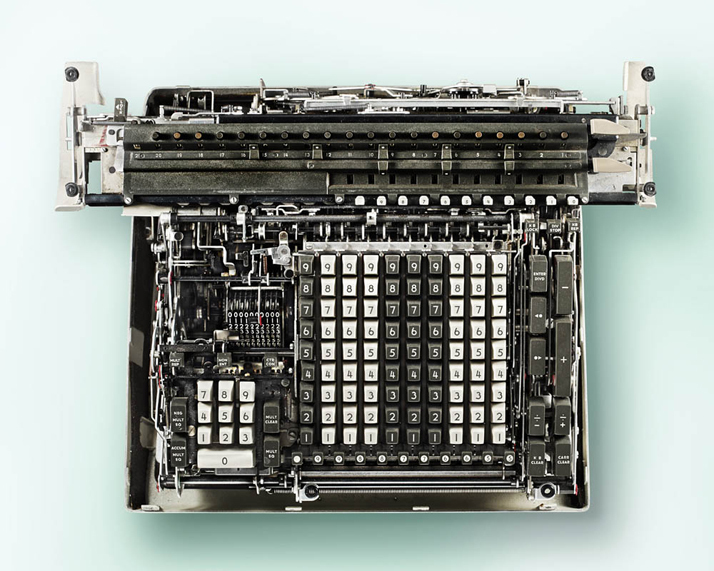 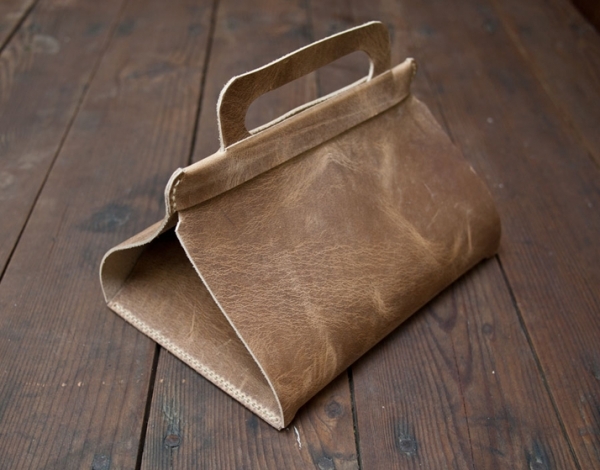 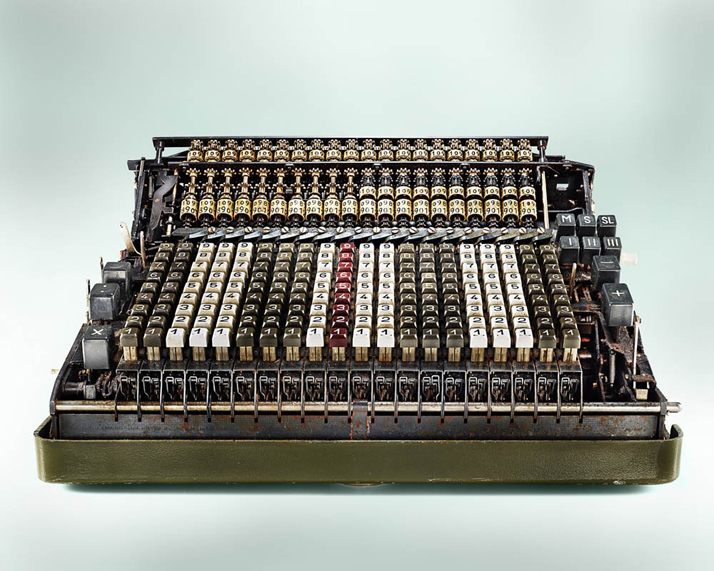 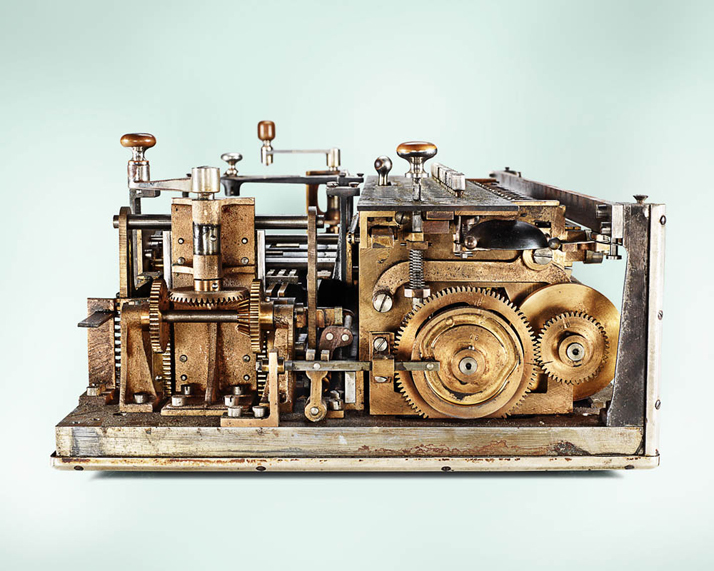 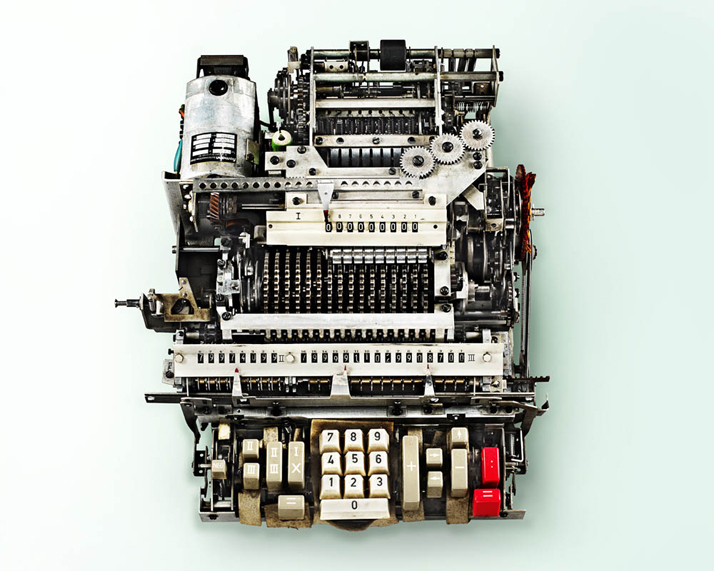 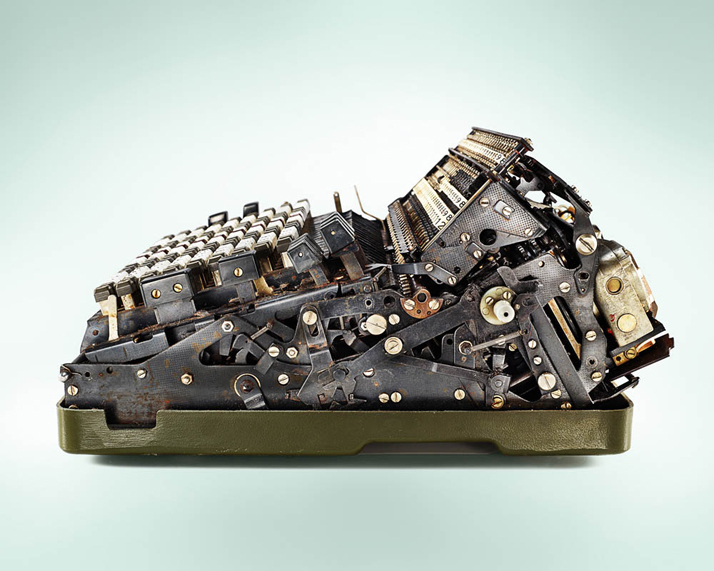 As Twomey writes on his website, he "delights in raising the most mundane objects to an iconic level," and by getting underneath the coverings of these old devices, he affords the viewer an exquisitely produced and awe-inspiring look at the computer's early ancestor.